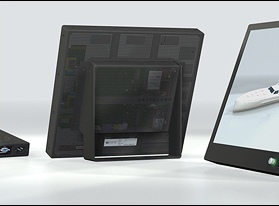 Marine display manufacturer unleashes flexible, modular new monitor family. The next generation of marine monitors is now available from Jakob Hatteland Display, the Norway based world leader in marine monitors and optical technology. 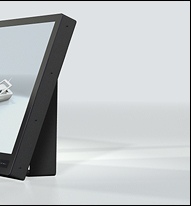 The Series 2 is a stylish, sophisticated monitor family, initially available in 12”, 15” and 19” versions. It is designed, tested and approved to suit all marine applications across all sectors. 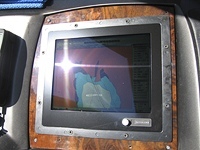 The Series 2 family is the world’s first marine display system to offer the choice of delivery as a monitor only or a monitor combined with a computer. The modular backpack, which docks into the rear of the screen can be either an interface unit or interface and marine computer. 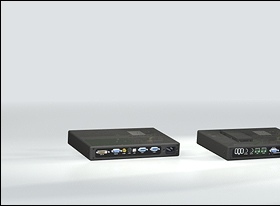 Both modules are the same dimensions for easy future upgrades and straightforward servicing. 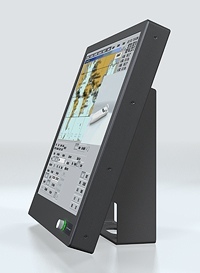 With multiple inputs, capable of displaying everything from chartplotter and echosounder to full NMEA and CCTV, Series 2 users will benefit from the ultimate in flexibility. The clean, striking and modern design of Series 2 alludes to the high-technology inside the slim aluminium casing. Hatteland Display has developed a unique new Optical Technology, which ensures the sharpest picture in all conditions. With high light intensity and contrast, combined with 0-100% backlight, the Series 2 provides unmatched sun and night vision. The picture is as clear in the strongest sunlight as it is at night or in overcast conditions. “Perfect viewing, day and night is a goal that marine monitor manufacturers have been striving to reach, and one that Hatteland has succeeded in reaching with our sophisticated Optical Technology. This technology provides Series 2 with unmatched clarity in the field of standalone marine displays”, comments Mr. Frode Grindheim, Technical Director, Jakob Hatteland Display. 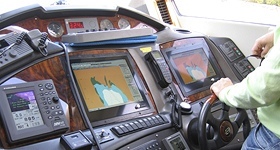 In addition to becoming the next generation display option for commercial marine electronic system integrators, Series 2 is also the first Hatteland branded monitor range, and is set to become the number one choice for boat builders and skippers in the leisure marine market. The company predicts the sleek, full glass front will be a hit with style conscious yacht owners, and is expecting high demand in the luxury powerboat and superyacht markets. Bracket, or flush mounted (IP66 rated), the visual design of Series 2 is as clean and clear as the picture its advanced Optical Technology produces. The inclusion of a tactile navigator with one button operation and hidden USB port on the front panel reflects the fine balance between form & functionality, and the plug-in backpack concept sets Series 2 apart from the competition in terms of flexibility. As a whole, the Series 2 package is ripe for early adoption in the leisure marine industry, alongside Hatteland’s traditional commercial marine electronic system partners. “Series 2 is a unique, modular product, which we have developed to provide our existing partners with an advanced display option for their next generation product lines. 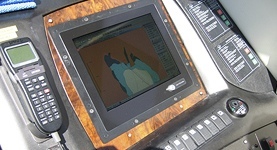 Additionally, boat builders and end users can be sure that the Hatteland Series 2 is the most flexible standalone monitor and computer system available today. And the looks, well, they speak for themselves…” comments Knut Vidar Lauritsen, CEO, Jakob Hatteland Display.